Fahim obtained his first degrees in biotechnology from the University of Tehran, Iran. He brought together his interests in the life and physical sciences with a move into synthetic biology and to the USA. 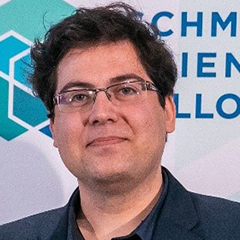 During his PhD at MIT Fahim developed multiple foundational platforms for molecular recording and computation in living cells. He introduced the concepts of DNA-based molecular recording and analog memory and invented SCRIBE (Synthetic Cellular Recorders Integrating Biological Events), a modular and scalable platform for recording signaling dynamics into the cells own genomic DNA. Fahim’s successful academic record and research excellence have been recognized by multiple awards including the Harold M. Weintraub Graduate Student Award, Nat. L. Sternberg Graduate Thesis Prize, Helen Peake Carr Research Prize, the Regeneron Prize for Creative Innovation, and now a Schmidt Science Fellowship. As a Schmidt Science Fellow, Fahim is working across two labs, with George Church at Harvard and Ed Boynton at MIT. He is aiming to further advance molecular recording technologies and apply them to the study of the brain. The focus on neurology is taking Fahim back to matters close to his heart and ensuring his work has the greatest potential of long-term impact.